Koch Kuts offers you the opportunity to sit back, relax, and let us take care of all your lawn and grounds maintenance needs. We are one of the leading landscaping companies serving Burlington, Waterford, Mukwonago and the southeastern WI area. At Koch Kuts, we understand that taking care of a large property can become an overwhelming job. That is why we offer a comprehensive lawn and grounds maintenance service that addresses all of your landscaping needs. From keeping the grass neat and even to pruning and shaping your shrubs and plants, there is no end to the possibilities we offer for your landscape. We take pride in providing end to end solutions ensuring your lawn is always beautiful, well kept, and complementary to your layout and design preferences. 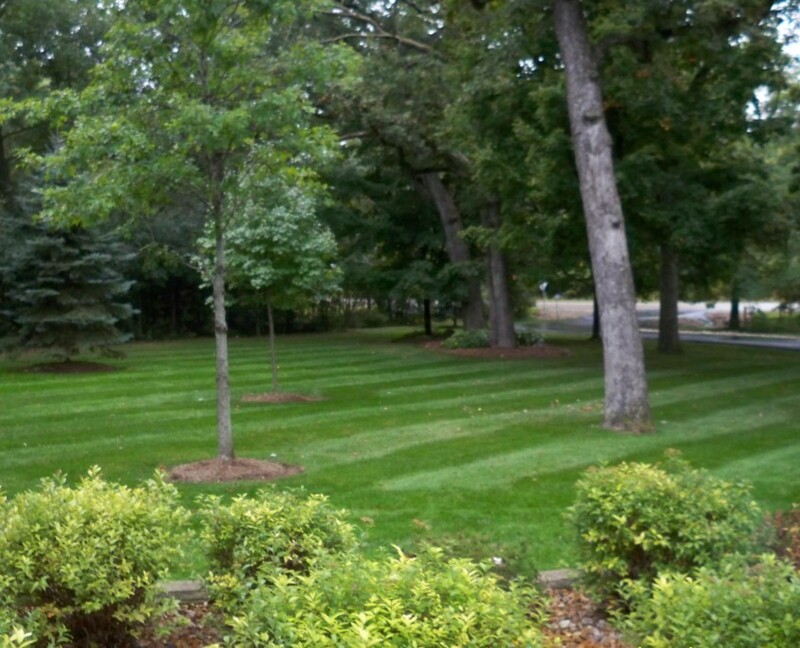 Contact our Burlington Landscaping Company for incredible lawn maintenance services. Keep your property beautiful and healthy all year long! Koch Kuts lets you have the luxury of beautifully maintained grounds without lifting a finger. You can keep your property looking vibrant and healthy all year long. Contact us by calling (262) 534-9509 today! The benefits from fertilization and regular weed control can be seen in all aspects of your yard; including the rapid growth of trees, the fullness of your lawn, and the vibrant colors in plants. Soils with proper nutrients prosper greatly in appearance and growth. Fertilization encourages proper blooming as well as strong roots and disease resistance. Mulching is a common gardening practice done for a number of great reasons. Using the proper type of mulch and mulching techniques can have excellent effects on your lawn and garden. However, mulching incorrectly can have negative effects on your landscape, so schedule lawn maintenance with the professionals at Koch Kuts for the highest quality mulch installation service. Bed edging improves the appearance of your garden; creating a crisp, clean border. Proper installation is a must for long lasting, low maintenance plant bed edging. Flower bed edging can also eliminate the need to constantly reshape the bed, save you time and money on future landscaping services, and clearly defines and contains your garden. We can create a schedule that is convenient for your needs. Our professionally trained landscapers will provide the regular maintenance you need on a daily, weekly, and even monthly basis according to the size and scope of your grounds. Give us a call today to discuss your lawn and grounds maintenance needs in Burlington, Waterford, Mukwonago and the southeastern WI area. When you utilize the services of Koch Kuts, you will have a healthy and beautiful property all season long and you don’t have to lift a finger to do it! Take advantage of our Spring / Fall clean-up services! Call us today at (262) 534-9509 to request your FREE lawn maintenance estimate!